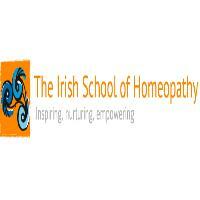 Irish School of Homeopathy - Medicine and healing courses. The Irish School of Homeopathy was established in 1989 and is one of the longest established homeopathy colleges in Europe. We have an intake for our professional course in Dublin on a yearly basis commencing every September. Our School in Cork was established in 2000 and has an intake for our professional course every two years. Our course leads to a fully accredited professional qualification recognised by The Irish Society of Homeopaths. Our qualification is also recognised by many homeopathic professional bodies worldwide. The School has established a fine reputation both in Ireland and abroad for the excellence of our core team of highly experienced lecturers. They are continually in demand as guest lecturers and seminar speakers around the world. The School also continues to enjoy regular contributions from guest lecturers from the most eminent schools in the U.K. and Europe. If you are thinking of choosing a homeopathic course from another college you are strongly advised to contact the Irish Society of Homoeopaths to ensure that the course you are considering is accredited and meets the required standards for registration.